The Hofstra community is deeply saddened by the passing of Bruce A. Lister, a long-time supporter of the university’s science and engineering programs. 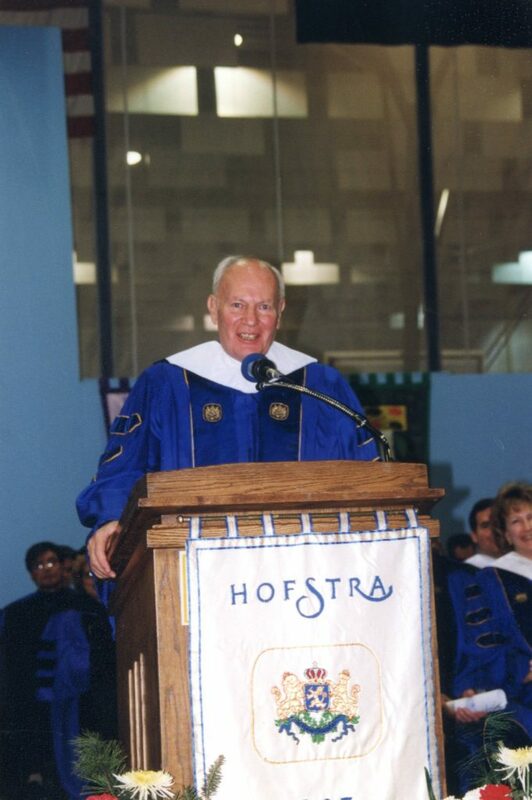 Dr. Lister served on the Dean’s Advisory Board of the Fred DeMatteis School of Engineering and Applied Science and was awarded an honorary doctorate in 1998 in recognition of his professional achievements and commitment to Hofstra. 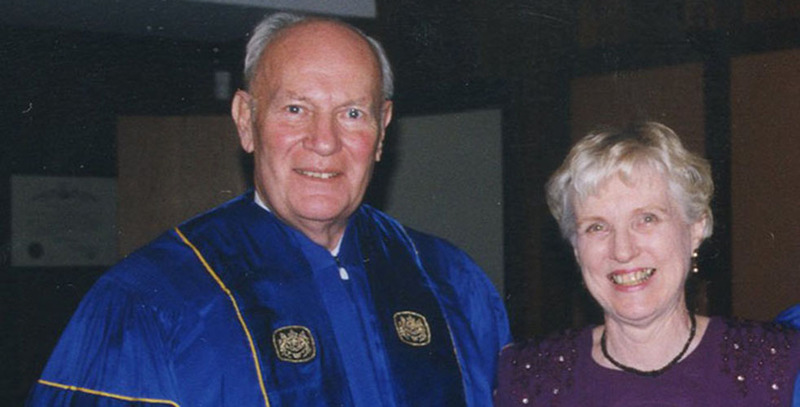 Dr. Lister and his wife, Doris, established endowed scholarships in chemistry, forensic science and engineering at Hofstra. In 2014 they established the Lister Summer Fellows Program, to provide students majoring in chemistry, biochemistry or forensic science the opportunity and financial assistance to spend the summer at Hofstra conducting research under the mentorship of a professor. During the construction of Herman A. Berliner Hall – home to the Departments of Chemistry and Physics and Astronomy – Dr. Lister worked closely with architects on the building design. The lecture room in Berliner Hall (room 117) was subsequently named in his honor. “We will remember Bruce for his courtly manners, his firm handshake, and his wealth of knowledge about numerous subjects,” said Dr. Sina Rabbany, Dean of the Fred DeMatteis School of Engineering and Applied Science, who praised Dr. Lister’s service on the DeMatteis School Dean’s Advisory Board and its predecessor, the Industrial Advisory Board. Dr. Lister received a BS and MS degree in chemical engineering from Columbia University. He studied naval electronics at Bowdoin College and M.I.T., followed by postwar studies in food technology at M.I.T. He served as an officer (Lt./jg) in the U.S. Navy during World War II with duty in the U.S. Western Pacific area and Japan. Employed by General Foods from 1943-62, Dr. Lister held various positions from research laboratory technician to divisional research manager. He was with Nestle Foods Corp. from 1962-89, retiring as vice president of corporate affairs. He had been responsible for product development and for external matters affecting Nestle, including Regulatory and Government Affairs, consumer, community and media contacts, as well as crisis management and product recall situations. He served as executive director of the Tea Association of the USA, a group of approximately 125 corporations in the United States and abroad that are involved in the production, shipping, packaging and marketing of tea. He also worked with NASA on space feeding, providing food products for early American manned space flights – including all Mercury, Gemini, Apollo, Space-Lab, and Space Shuttle flights. Dr. Lister served as chairman of the Nassau Board of Health for more than 30 years and on the Engineering Council at Columbia University for six years.